Stories and Archives : A Tale of Two Machines: How different could they be? A Tale of Two Machines: How different could they be? For almost 2 years I had a car that I really loved, but then Volkswagen offered me a chunk of change to buy it back as part of a huge lawsuit that you either already know about or don’t. Anyway, I ended up buying a newer Volkswagen, and it might even be a bit prettier and posher. It has seat warmers in the front and back seats and all sorts of navigation stuff and soft buttery leather that still smells like new car. It certainly is politer and kinder than any driving machine I have ever known. It turns the music down a bit when I brake, and it makes a sweet chime when a car passes behind me so that I don’t think about racing backwards and hitting it. Nope. Not with this car watching my back. This car cares about me. It has a setting that slows me down if I get too close to the car in front of me, and blinks pretty yellow symbols when other cars pass near just in case I’m too busy singing or judging someone in another car. Awww, of course I won’t, thanks! it’s in my purse THANK YOU, I answer happily, every time. A few weeks ago, I headed out in my new car to buy a replacement for my old K-cup maker when it died for the 5th time after being the backup for the newer K-cup maker that died 4 times. Coffee is a vital food group and weight management tool that I take seriously, so I usually spent upwards of $30 a week on k-cups, often disappointed by one or both of the dying k-cup makers. Still, it seemed better to make one fresh cup 5x a day than make a pot of coffee and drink too much and then think about reheating it but yuck it never tastes good again, so I stuck with k-cups for years. 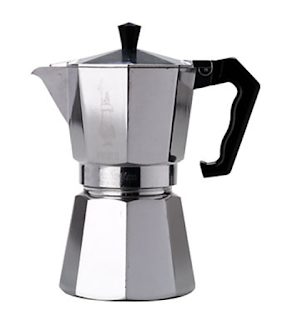 It was a sad (and angry) week in my world when both of the k-cup makers died and I had to live on my stove-top Cuban coffee maker which was fun but cafecito should be served in thimble sized cups, not Yeti mugs, so it just didn’t work out. I believed there was something better out there waiting for me. I looked at $300 and $200 systems that required pods and such. Nope. I found a $79 coffee maker with the thermal carafe and all these cool settings. Perfect. But wait, there was a $49 coffee maker with a thermal carafe right next to it. How different could they be? I bought the cheaper one, brought it home, and spent the better part of two months drinking fantastic coffee, all the time knowing that the coffee maker didn’t care a bit about me, not like my new car did. The first time it happened I was puzzled. I ran through the steps in my head. Coffee. Filter. Water. Buttons. Light goes on. Wait. Gurgles. Steam. Coffee. What part had I missed? The next time it took me a little less time. I ran through the steps in my head. Coffee. Filter. Water. Buttons. Light goes on. Wait. Gurgles. Steam. Coffee. What part had I missed? I drank the coffee anyway, but it was a little bitter. The third time it happened it took me even less time. …. I ran through the steps in my head. Coffee. Filter. Water. Buttons. Light goes on. Wait. Gurgles. Steam. Coffee. What part had I missed? That’s OK. Whatever. Maybe I am. Maybe I’m not. I waited until the coffee machine exhaled one last shudder of steam before pouring myself a big cup and going out to sit in my car and hang out with my favorite machine, the one with seat warmers. With competition like this, there’s nothing the coffee machine could have done to become my #1 thing anyway.